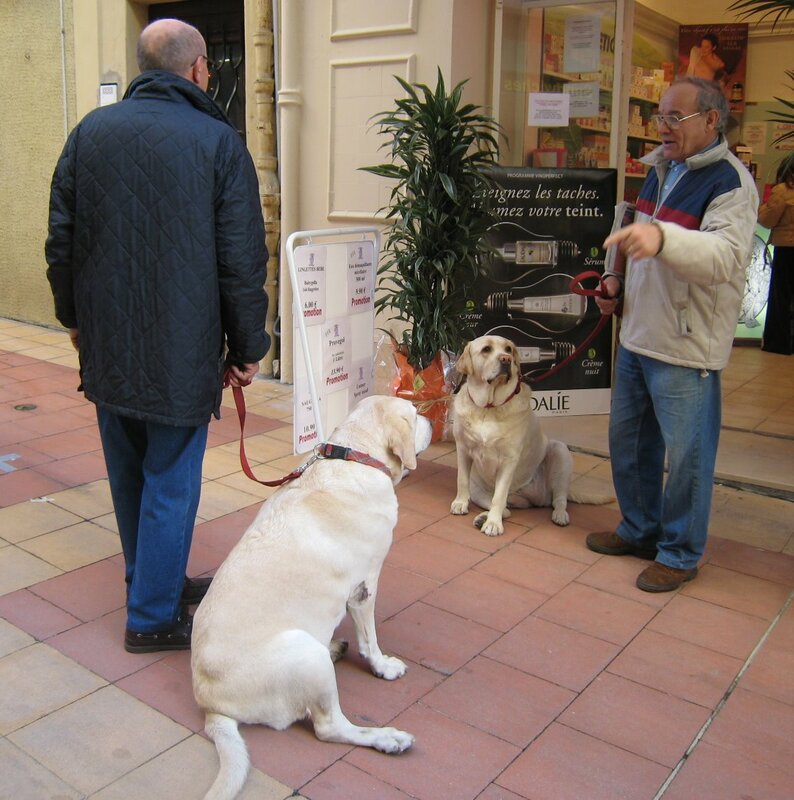 I bumped into these two labs in the walking street of Menton. 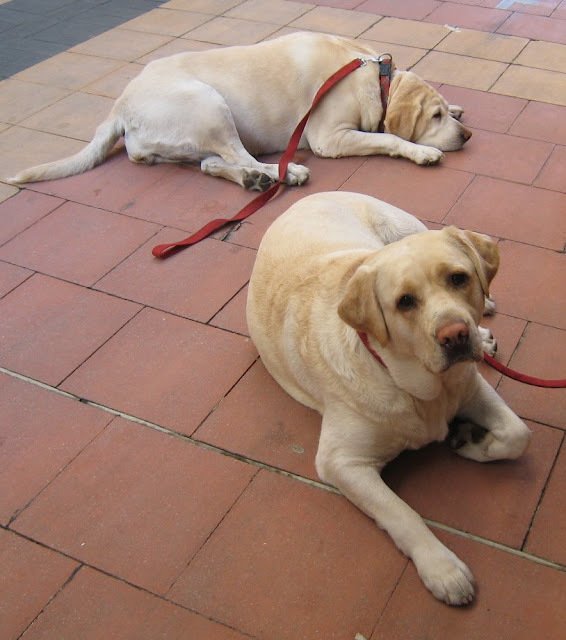 Milly, at the back is 11 and Biba, at the front is 2. They live near to Cuneo (not so far from Turin) in Italy. As you can see, they like to flop down when their owners are in conversation. This made me smile. I have just one dog now , Oscar a pug x maltese and he sits down when I start to talk too! Do you think he is trying to tell me I am a gasbag???? aww these are the cutest dogs ever! I am pretty sure that the one taking a walk is a pyrenean mountain dog as i used to have one exactly like the one in the photo, he has exactly the same markings. They are really good photographs.